At Sikov and Love, you will find us to be sympathetic listeners, imaginative thinkers and innovative advocates. We commit the time, research and resources necessary to thoroughly understand the unique circumstances of your case. We do more than work from behind a desk. We take the initiative to ensure that your case is developed properly. For example, we routinely build models, recreate accident scenes, prepare graphs and charts, hire aerial photographers and prepare videotapes. We regularly recruit experts from across the country to share their knowledge on specialized subjects. We prepare and present the evidence that is necessary for successful results. We take the same aggressive, innovative approach on the legal issues in your case. We have repeatedly taken cases to the Pennsylvania Supreme Court and changed laws that unfairly prejudiced our clients and the public. In cases where it is difficult to gather and present evidence, as well as in cases where we must work to change the law, Sikov and Love is prepared to go the distance even in the most complex cases. We understand that the prospect of going to court to resolve a dispute can be overwhelming. We have found, however, that only an estimated five percent of all cases actually go to trial to reach a final resolution . . . the remaining cases are settled out of court. In either event, we make it a priority to help you through the legal process as comfortably and effectively as possible. 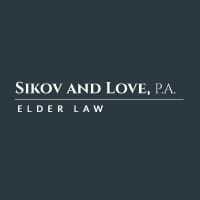 At Sikov and Love, you receive an honest appraisal of your case. We share with you our experiences in similar cases, explore the options for resolving your problem and outline a course of action. We work with you to find the best solution to your situation. As a client of Sikov and Love, your case is studied at our weekly case review meetings where we participate in brainstorming sessions to ensure that every angle is explored. So while one attorney serves as your primary counselor, five attorneys work on your behalf.